The 2019 Dodge Durango in Albuquerque is a crossover, three-row sport utility vehicle that thumbs its nose at the notion that a family vehicle has to be a boring minivan. With its optional V8 power (there's plenty to spare, by the way), it's proof that not all crossovers are bland family-haulers. 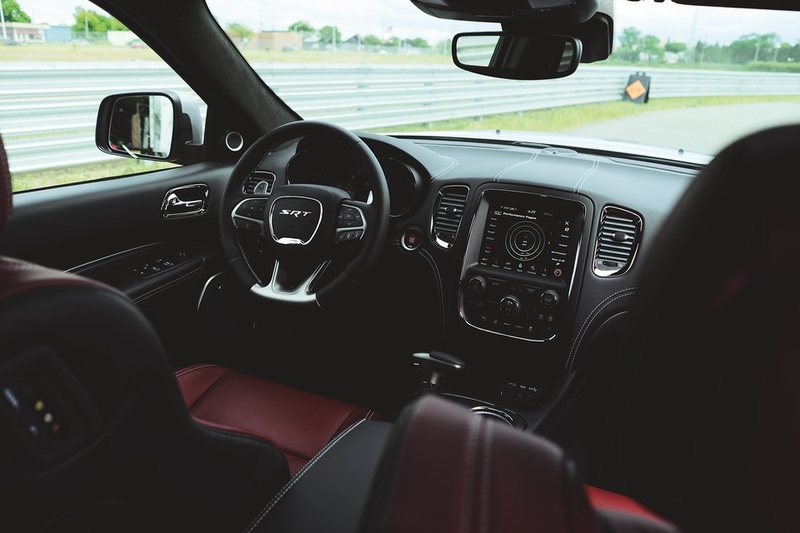 For the 2019 model year, the Durango line remains largely unchanged, consisting of the SXT, the GT, the R/T, the Citadel, and the SRT trims. 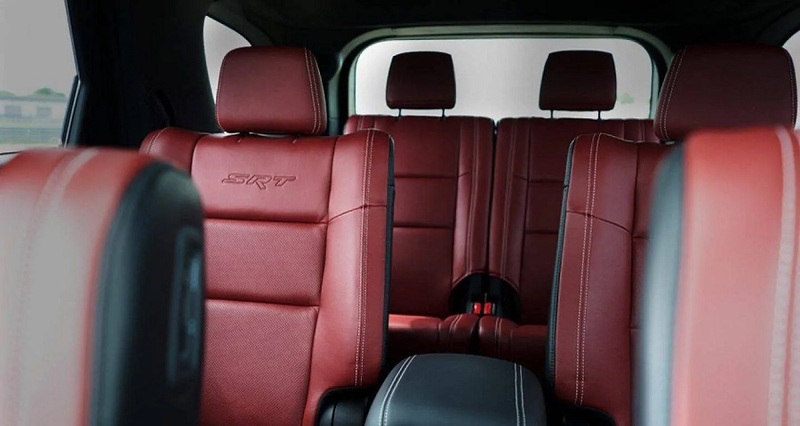 Here, you'll learn all about the 2019 Dodge Durango, which is on sale at Melloy Dodge, our dealership serving Albuquerque Santa Fe New Mexico. The 2019 Dodge Durango in Albuquerque has a muscular, toned look that other crossovers don't match. For this model year, the GT has many of the SRT's styling touches, with the optional domed hood and working air extractors. In other aspects, the long-roof style splits the difference between crossover, wagon, and sport utility vehicle. While there are vestiges of the Dodge Magnum that once was, the 2019 Durango largely channels the RAM pickup line. Up front, the crosshair grille with optional chrome is stylish and modern. It's on display at our Albuquerque Dodge dealership; stop by today! On the inside, the 2019 Durango's looks are very conservative, with a simple, logical design. In the front, you'll see one of two infotainment touchscreens; a 7-inch on the GT and the SXT, and an 8" that's well worth the additional cost. Instead of a shift lever, there's a knob that works surprisingly well. Although leather upholstery is just an option on the GT and the SXT, it's standard on all other trims. The interior is very well-appointed, with soft-touch materials throughout. The front seats are supportive and firm, with multiple adjustments. Second-row passengers get more-than-ample legroom, but in the third row, the tallest passengers may find things a bit tight. We recommend the captain's chairs that are available on most trims. The 60/40 split folding rear seats drop easily and quickly, with either the pull of a lever or the push of a button. With the back two rows of seats folded down, you'll get a whopping 85 cu. ft. of cargo room. Visit us at Melloy Dodge, our dealership serving Albuquerque Santa Fe New Mexico, to see the 2019 Dodge Durango in person. 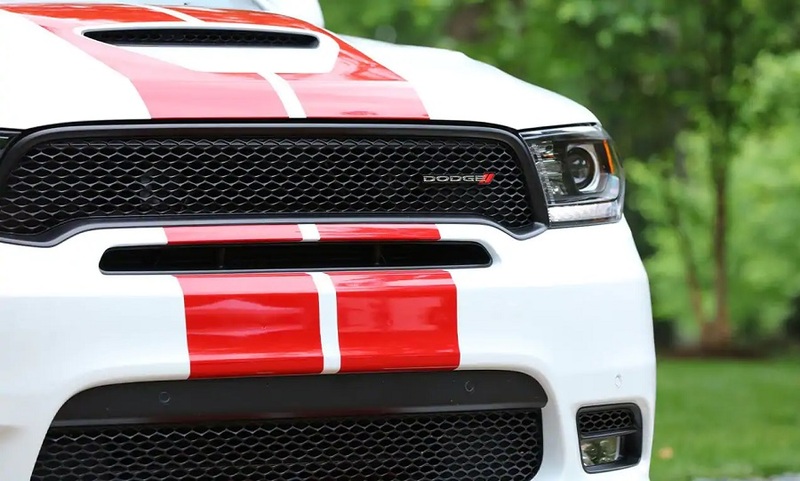 At the top of the Durango lineup, the SRT is essentially a seven-passenger sports car. Its 475hp V8 is the same one found in the Challenger SRT, and it translates surprisingly well to the Durango's AWD application. With thunderous acceleration, an 8700-lb. tow capacity, and other features, the SRT is one of the market's most versatile performance automobiles. All three engines are mated to an eight-speed automatic transmission that shifts smoothly and has the right gearing for every situation. Stop by our showroom serving Albuquerque Santa Fe New Mexico to see it and drive it. With the R/T, you'll get that awesome V8 engine, a sport-tuned suspension, more supportive seats, and much more; it's basically a kid-hauling performance car. At the other end of the spectrum, the Citadel edition does its best impersonation of a luxury vehicle, with its nappa leather and heated and cooled front seats. The 2019 Dodge Durango in Albuquerque is a bit like buying hot peppers from the produce section. While the V8s are like habaneros (hot, spicy, and will burn you if you're not careful), the V6 versions are like Anaheim peppers (flavorful and relatively harmless). The base models use a 3.6L V6 that puts out 293hp to all four wheels, which is more than enough for most drivers. See it in our Albuquerque Dodge dealership today. A 5.7L V8 with 360hp is available on some trims and standard on the others. Along with its throaty rumble, the V8 provides brisk acceleration and increased towing capacity. Finally, on the SRT, there's a fire-breathing, ferocious 6.4L V8. On all V6s and 5.7L V8s, RWD is standard and AWD is optional. Although the Durango's underpinnings are aging, it holds up well in crash testing. It has all the safety gear you'd expect, including whiplash reducing active head restraints. Advanced safety tech including active lane control, lane departure warning, adaptive cruise control, and auto emergency braking are combined into an option package. Come to our dealership to see it in person, or call us for details. 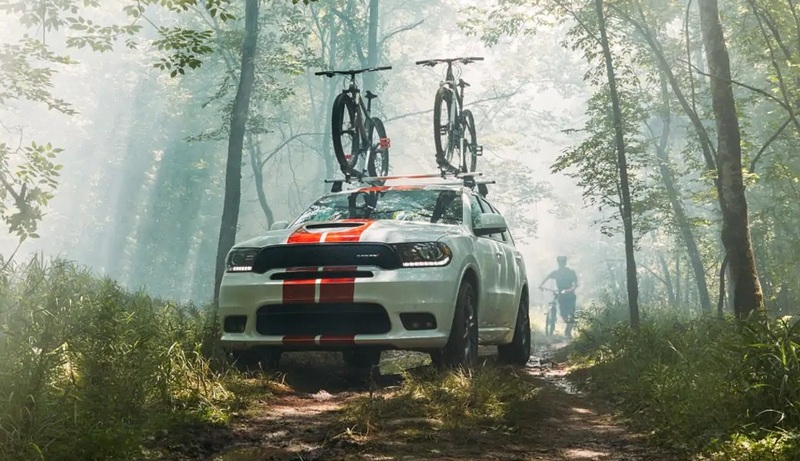 The 2019 Dodge Durango has a lot to offer, whether you're a soccer mom or a performance enthusiast. From the base V6 to the stout, throaty V8s, you'll find your favorite engine and transmission combo. Call us to learn more, view our inventory online, or visit Melloy Dodge, our Albuquerque Dodge dealership, to take a test drive.